Moisture Absorbing Sachets with outstanding performance. What are the Pingi Moisture Absorbing Sachets? The Pingis are nano technology bags that are filled with silica gel pellets. Moist air is absorbed through the bag into the pellets. The silica gel is able to absorb 40% of its weight in moisture before saturation. How do you know when the Moisture Absorbing Sachets are saturated? Each bag has a blue moisture indicator that gradually becomes light pink. However, this may not be 100% accurate. The best way to establish the exact saturation point is to weigh the Pingi sachets. 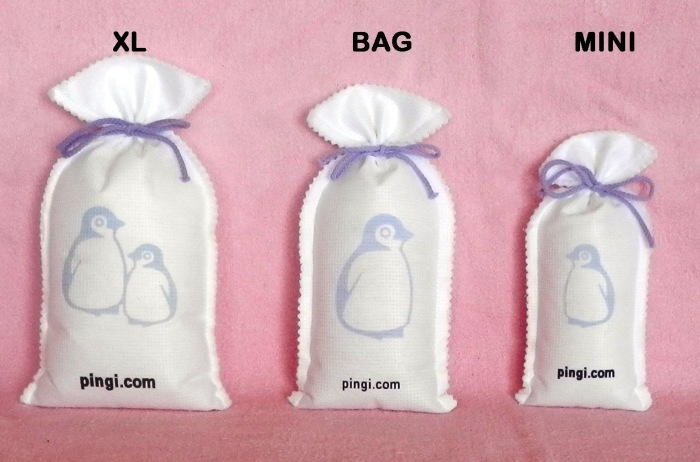 The Pingi XL 450 gram sachet will weigh around 630 grams before recharging is required. During recharging the moisture evaporates and Pingi Moisture Absorbing Sachets can be used again. This means no refilling is necessary and there is no wastage. Wikipedia supplies extensive additional information on the properties of silica gel. Please note that our product range falls into the desiccant application category. The Pingi Moisture Absorbing Sachets/Dehumidifiers/Moisture Absorbers have been extensively tested in both the USA and Europe. Pingis are both TUV and SVHC tested and approved. These bags will keep your contents dry. Visit our shop to order your Pingis today! Where can you place the Pingi Dehumidifiers/Moisture Absorbing Sachets? Quick recharge in a microwave oven. Our products are environmentally friendly. No danger to pets or children drinking the resultant moisture. There is also no chance of leakage. The moisture is held in suspension. As there is no spillages, there is no damage to carpets or soft furnishings either. Hundreds of recharge cycles mean no refilling is necessary. Go to our shop and order your Pingis now.